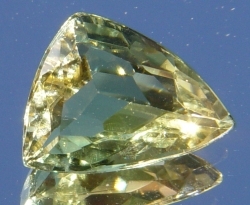 Colored yellow, tourmaline of this variety is very rare. Yellow tourmaline is not enhanced. Yellow Tourmaline is a member of the Tourmaline gemstone family. On two thirds and orangy yellow on one thirdTwo-toned.